The San Jose, Calif.-based AR/VR startup uSens is taking to CES this week to unveil their Fingo module, hand-tracking tech that will allow VR features to easily incorporate your own free-fingered hand movements in real time. 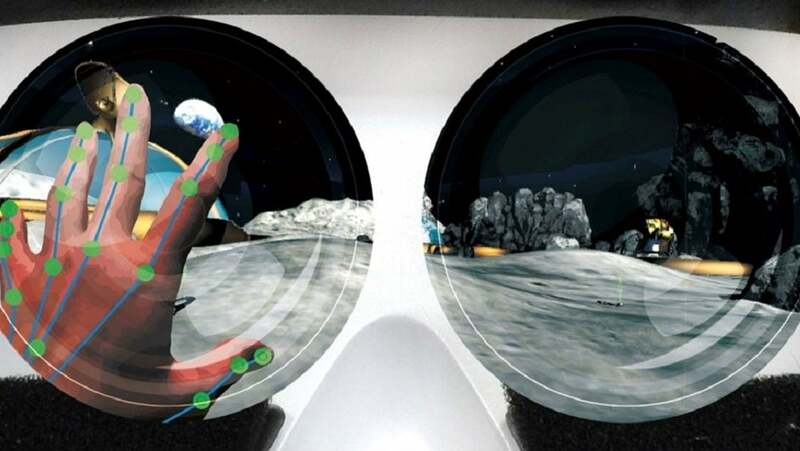 It’s a small step for VR that could be a big leap for applied VR everywhere. Hooked to the front of any typical head-mounted display (Samsung Gear, Google Cardboard, Oculus Rift, HTC Vive, you get the point), the Fingo module tracks one or both of the user’s hands, logging a total of 22 different joints per hand. In a demo, users were able to complete such intricate tasks as picking up a VR ring or throwing a VR dart at a VR dartboard. You could even trace your own name as if writing with an anti-gravity 3D pen. Just as the iPhone brought touchscreens into the mainstream, doing away with the stylus, uSens’ Fingo device seems well-poised to reshape how humans interact with and through the medium of virtual reality.